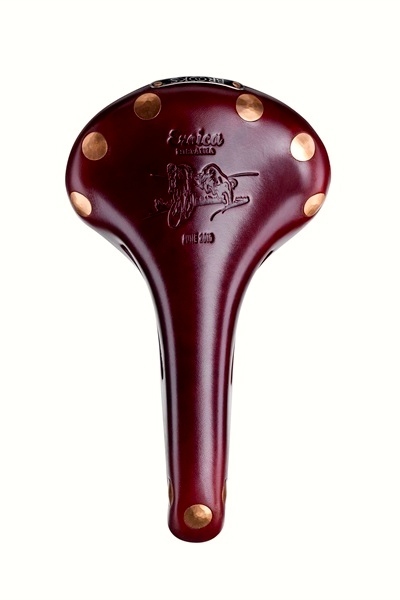 Saddle makers Brooks of England have created some fantastic special edition saddles in the past. My favourite is definitely the Brooks Professional "Alpe d'Huez" saddle that they introduced in limited numbers during 2010. Alpe d'Huez is one of the main climbs and has been a stage finish in the Tour de France almost every year since 1976. The first was in 1952, and won by Fausto Coppi, at a time when most cyclists were riding Brooks Saddles. 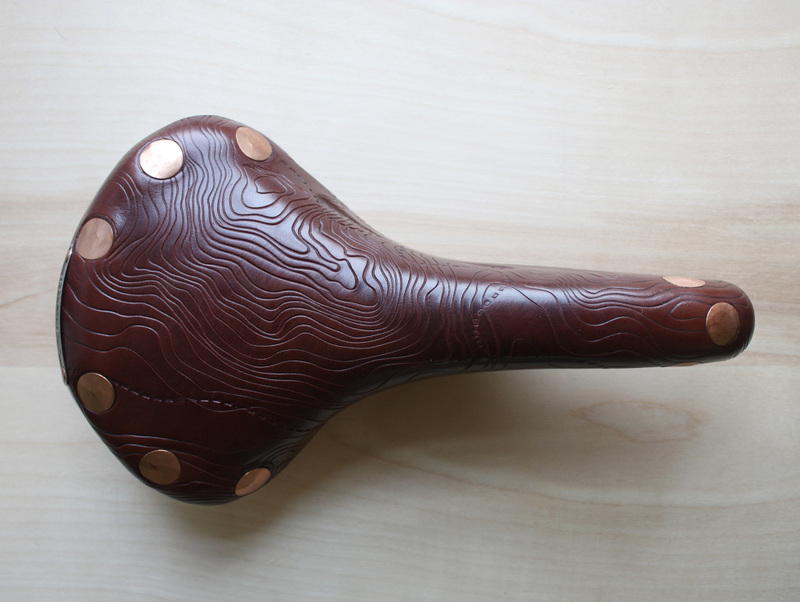 A stylised topographic pattern of the Alpe d’Huez is impressed on the surface of the leather saddle. The design was created by Dan Funderburgh, a wallpaper designer and artist from Brooklyn, New York. His patterns, prints and installations are varied in content but all demonstrate a love for decorative arts. The Alpe d'Huez edition saddle was available in honey, brown and black, and after it's release it sold out fairly quickly. It is almost impossible to buy new now, although second hand ones appear on eBay occasionally for ridiculous prices. 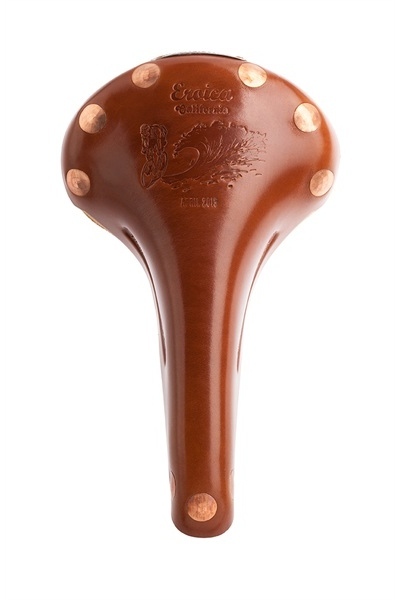 I was lucky enough to get hold of a brown Alpe d'Huez saddle some time ago. It is such a beautiful work of art that sits pride of place in my bike room. I'm sure I'll fit it to one of my bikes sooner or later!! 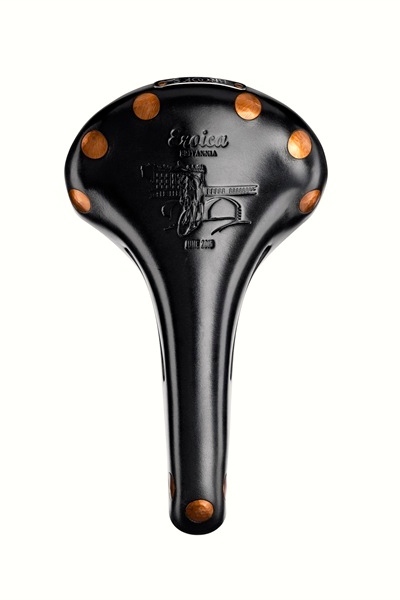 The most recent line of special edition Brooks saddles focuses on vintage cycling and the L'eroica series of rides. There are now 6 recognised L'eroica rides internationally and each year they are becoming more popular. 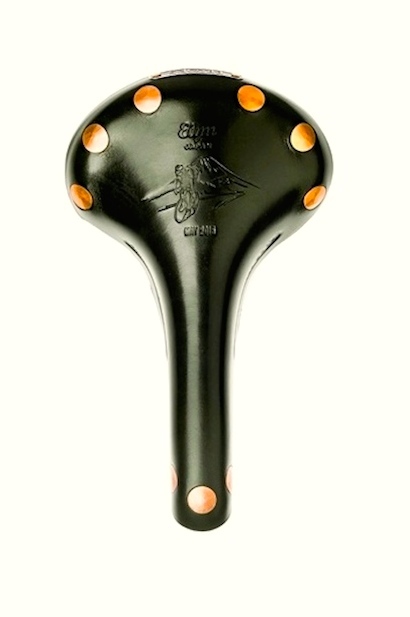 As a tribute to the rides Brooks has released a series of limited edition saddles to commemorate the events. These are beautiful saddles that will compliment any vintage (or modern) ride. Today (21 June 2015) is coincidently the Britannia edition of the ride - I am so envious of those lucky enough to be participating!. 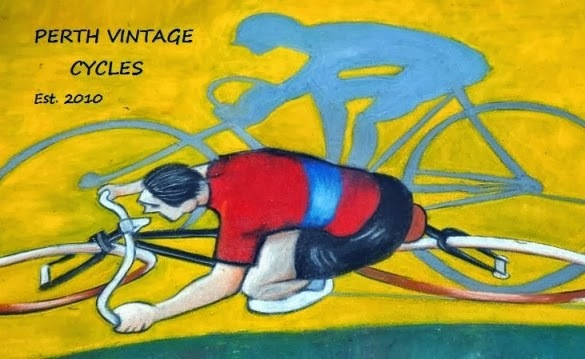 At this stage there have been 4 saddle designs released and there is expected to be one more released later in the year to commemorate the original L'Eroica ride in Tuscany. The saddles are available for purchase on the Brooks website however you best be quick as they are limited to 1000 pieces for each edition.